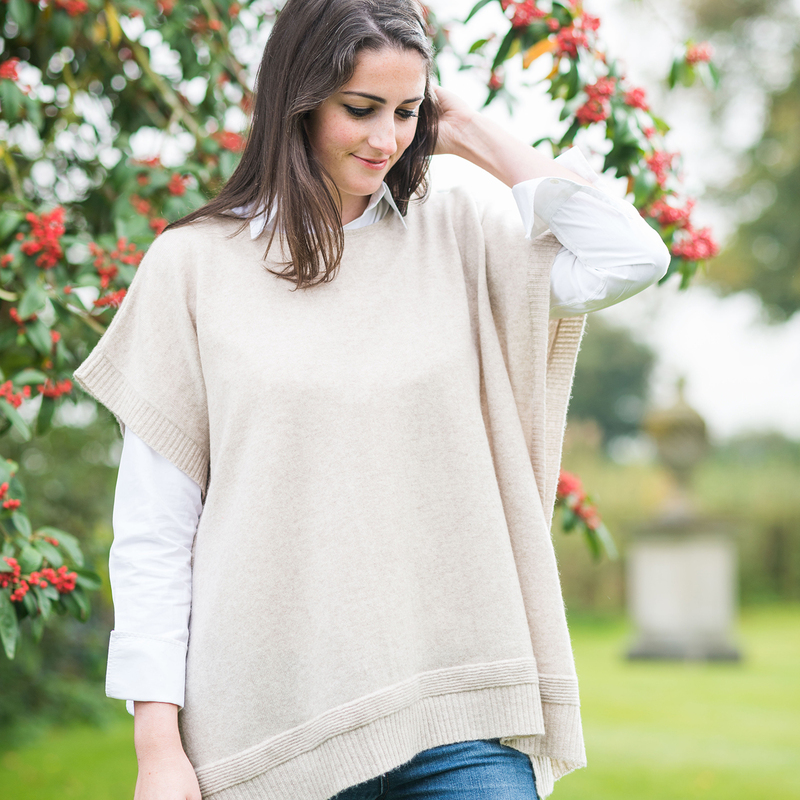 A cashmere tunic with buttons to give you a classic layering piece with an easy flattering shape. The detail in this tunic is what makes it special. 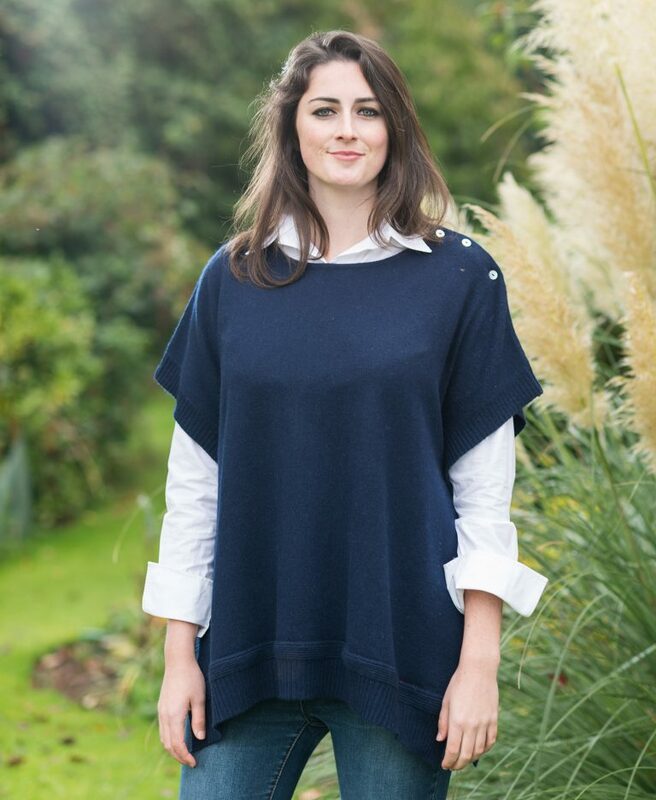 This tunic has a boat neckline and shoulders that continue the loose, unstructured silhouette. With both horizontal and vertical ribbing, mother of pearl buttons on the shoulder and side slits this easy style can be worn over your favourite tee, a more formal shirt or just as it is.